It is really cute when the squirrel gets behind the pulpit. (Sunflower seed or peanuts are put in the top of the pulpit.) We have many squirrels here So the Reverend changes often. But the congregation stays the same. Note! This was totally designed and built by Scott Tart. 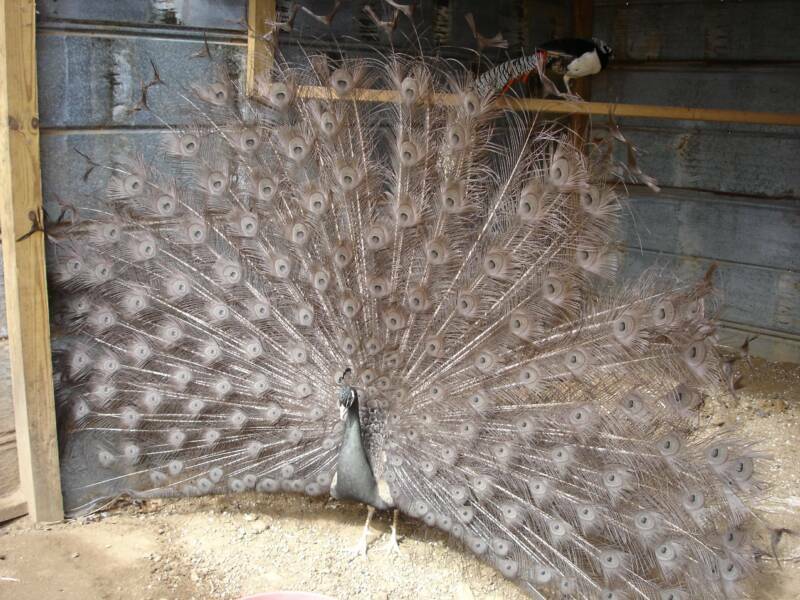 It was his original idea as are so many other items that we have in our Aviaries and Farm. NOTE! ALL PICTURES OF BIRDS ON THIS WEBSITE WERE TAKEN BY ME OF OUR BIRDS. AND ANY OF THESE PICTURES THAT YOU SEE OF THESE BIRDS ELSEWHERE HAVE BEEN STOLEN WITHOUT OUR CONSENT...UNLESS I PUT THEM THERE PERSONALLY..
APRIL 14, 2010 ONE OF OUR PYGMY NANNIES HAD TWO LITTLE KIDS. CUTE AS CAN BE. 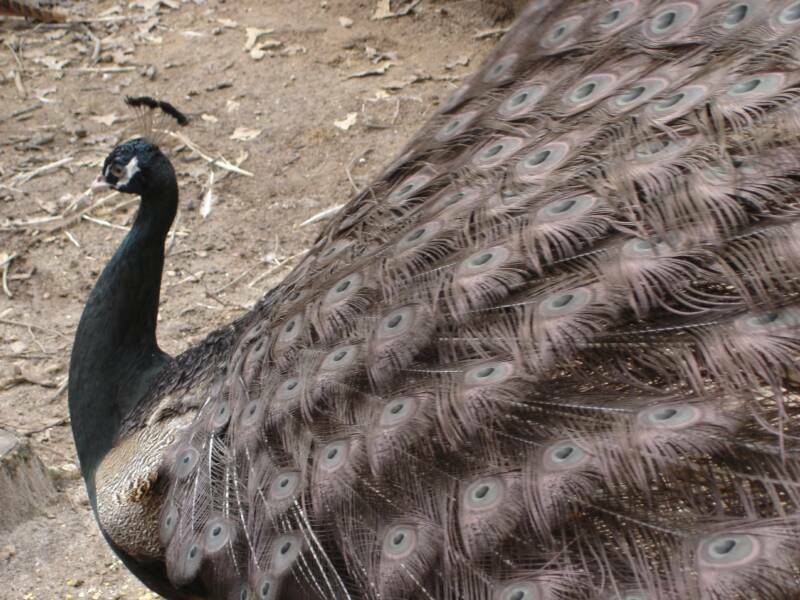 We recommend the keeping of pheasants and peafowl as a great hobby. It brings a lot of enjoyment as well as a beautiful addition to your yard or farm.